The foundation is committed to celebrating cultural assets of Washington, DC and its surrounding areas. The portfolio includes support for museum activities, performing arts, art as a tool for literacy, and emerging artists who use visual arts, film or social media. Priority is given to projects that use art as a tool for public dialogue and education; public celebrations of art as a way to bring the community together; and that share community-building models that integrate different segments of society and awaken civic engagement. The foundation does not accept unsolicited proposals. For more information about the foundation’s grant-making process, visit Grant Guidelines. Created in 1982 under President Reagan, the President’s Committee on the Arts and the Humanities (PCAH) is an advisory committee to the White House on cultural issues. PCAH works directly with the three primary cultural agencies—National Endowment for the Arts, National Endowment for the Humanities, and Institute of Museum and Library Services—as well as other federal partners and the private sector, to address policy questions in the arts and humanities, to initiate and support key programs in those disciplines, and to recognize excellence in the field. Its core areas of focus are arts and humanities education and cultural exchange. For more information about the new organization, Halcyon – home of Halcyon Incubator, Halcyon Arts Lab, Halcyon Dialogue and Halcyon Stage – please visit halcyonhouse.org. 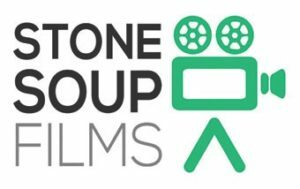 Stone Soup Films was founded in 2008 as a nonprofit production company that builds the capacity of worthy organizations by developing a probono communications strategy represented in a professional promotional film. The John F. Kennedy Center for the Performing Arts (formally called the John F. Kennedy Memorial Center for the Performing Arts, and commonly referred to as the Kennedy Center) is a performing arts center located on the Potomac River, adjacent to the Watergate complex in Washington, D.C. The center, which opened September 8, 1971, is a multi-dimensional facility, and as memorial to John F. Kennedy and a cultural center, it produces a wide array of performances encompassing the genres of theater, dance, ballet, and orchestral, chamber, jazz, popular, and folk music, offers multi-media performances for adults and children, and is a nexus of arts education. In addition to the approximately 2,000 performances held annually for audiences totaling nearly two million, the center hosts touring productions and television and radio broadcasts that, collectively, are seen by 20 million more. Now in its 45th season, the center presents music, dance and theater and supports artists in the creation of new work. With its artistic affiliate, the National Symphony Orchestra, the center’s achievements as a commissioner, producer, and nurturer of developing artists have resulted in over 200 theatrical productions, dozens of new ballets, operas, and musical works.